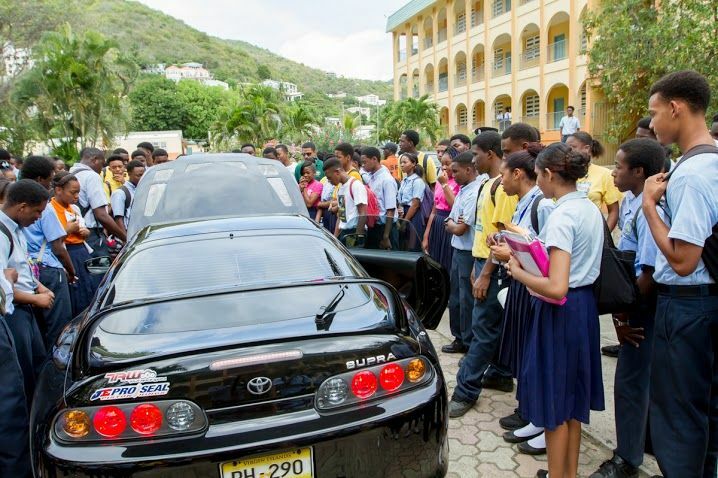 ROAD TOWN, Tortola, VI- Newly formed group, Tortola Race Wars (TRW) recently made a stop at the Elmore Stoutt High School (ESHS) where its presentations on road safety were well received by both students and teachers of the school. 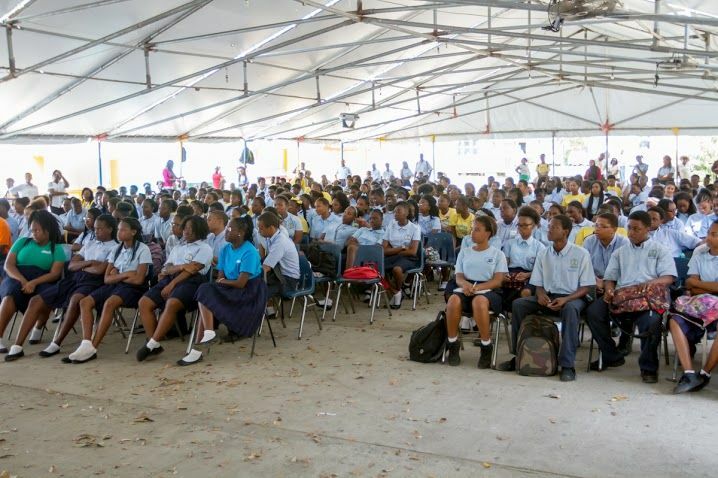 TRW is on a campaign to educate youth about traffic rules and safety tips as well as promoting activities that keep the youth interested in the automotive industry. 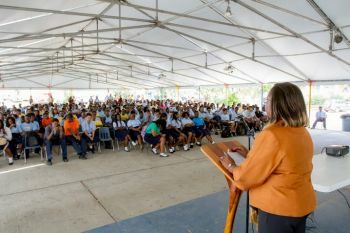 Speaking to students of ESHS on April 21, 2016, one of the supporters of the group, Sixth District Representative Hon Alvera Maduro-Caines said the amount of motor scooter accidents in the territory was alarming and said she believes it is everyone’s responsibility to educate the public about safety and following the rules of the road. 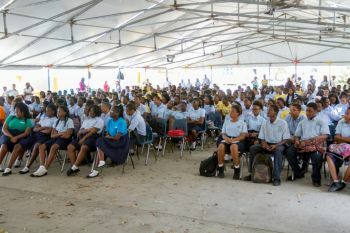 She made an impassioned plea with the students to respect the rules of the road before proceeding to share some safety tips. 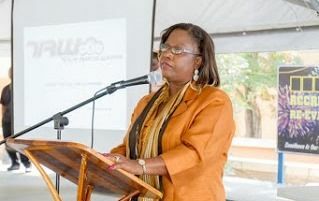 “You are our future and we have a responsibility to protect you…For God’s sake, stop weaving in and out of traffic as if it is a video game you are playing. This is an awful habit and puts all road users at risk. 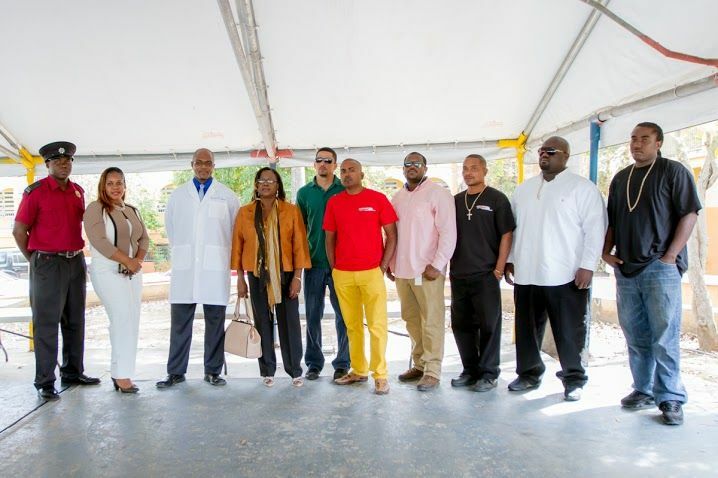 “We cannot afford to lose another person to a motorcycle or car accident, especially a young person,” Hon Maduro-Caines stated. 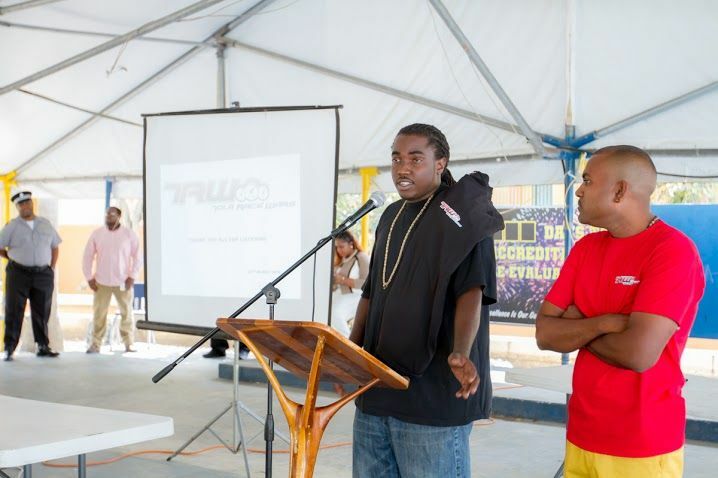 One of the presentations that especially had the attention of the students was delivered by Trinidadian Devon Joseph, who has raced professionally. Former student Mustafa Claxton, who received a rousing welcome, also let the students know it was not cool or smart to disregard the rules of the road or endanger their lives on motor scooters. Mr Peters said TRW is now looking to take its awareness campaign to the Bregado Flax Educational Centre on Virgin Gorda. 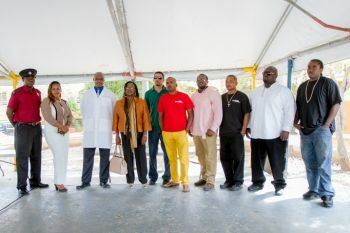 Prior to ESHS, TRW addressed students of the Virgin Islands School of technical Studies on Wednesday March 23, 2016.
well maybe that is why she is speaking because she can communicate it in a way the rest of us could understand. Did you take a survey or did jomama tell you this cause she lives in zone 6? You point is ? Seems like you know everybody in zone 6 . Mustafa? Really?! When will he stop doing his dare devil stunts and riding up and down with a passé of scooter riders who don't show respect for motorists and other people commuting on the road? He needs to truly grow up and stop encouraging nonesense. she should do the same with taxi drivers.most dangerous poeple on the road. Here here!! I second the motion on the taxi drivers! Do do do do do we driving along behind a taxi bus and screech a sudden stoppage with no indicator as a prime example. They need to get a check out at least every year if not every six months. We need to send the message to adult drivers that it is wrong, dead wrong, to engage in cell phone conversations and text messaging while they are on the road driving. It diverts their attention. Let's not wait until something serious happens before we realise the danger they put other motorists and pedestrians in with this growing and dangerous habit. It is not even cute. She can drive you a hard slap for asking that retarded question!!!!!! the other drivers on the road. Legal costs are expensive as are funerals. Whether she can or cannot drive should not concern you. If you do not have a worthwhile contribution to this topic then just read and relax.